After seeing pain & suffering of infertility couples while doing post graduation in obstetrics & gynecology, she developed her interest in the field of infertility. She continuously keeps her mind engaged for treatments, new experiments of infertility. In the very short duration of time, she had seen more than 20,000 infertility patients and performed > 750 IVF procedures. In the era, where people do obstetrics and gynecology practice for years and then enter into the infertility business, she started her career as infertologist only. She has given pregnancies to many women in their late 40’s and 50’s. One of the best successful examples is Mr. & Mrs. Patil who got a baby after 33 years of their married life in late 50’s. 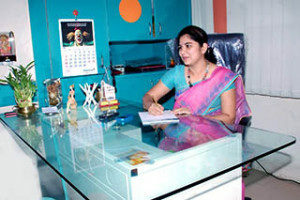 She is giving her infertility services and expert advice to many other centers in Marathwada Maharashtra. She has delivered many lectures and conducted many workshops for Gynecologist and general practitioners at local state and all India levels.